Forrest and I had the pleasure of being interviewed for a Tales of the Red Clay Rambler Podcast by Ben Carter. We shared some of our personal work and the forming of the Socially Engaged Craft Collective. We are both still a little nervous to listen (you know how it is listening to yourself) but let us know what you think! Ben recently published a book "Mastering the Potter's Wheel" - we highly recommend it! Jeni's work was accepted into her first international exhibition! 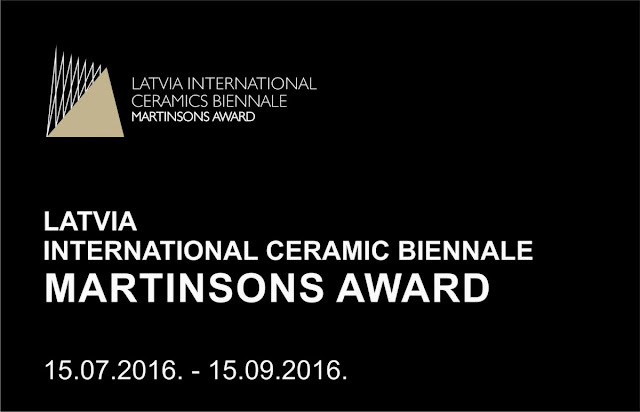 Her work is included in the 1st Latvia International Ceramics Biennale that began July 15, 2016, with an opening of ‘Martinsons Award’ exhibition and the exhibition of Daugavpils ceramists ‘Welcome to Daugavpils’ at Daugavpils Mark Rothko Art Centre. 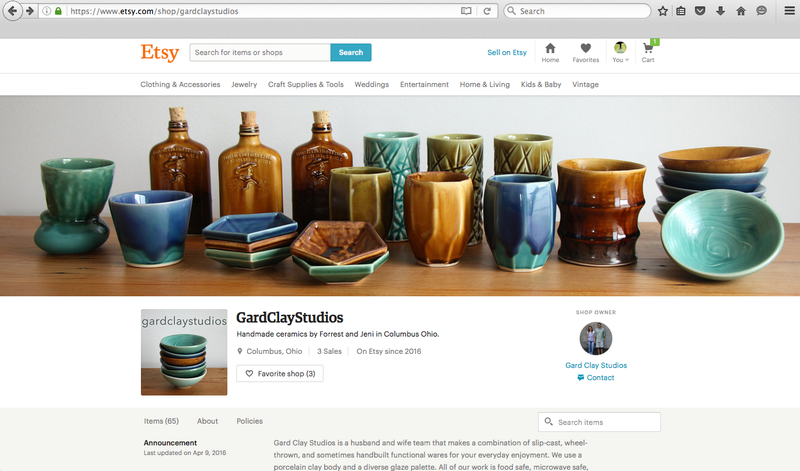 Our etsy shop is well underway search gardclaystudios or visit www.etsy.com/shop/gardclaystudios. The sale starts today Saturday, April 9th at 9:00 am EST. So if you're the kind of person who is into games, kittens, magical enchiladas, goats, and sometimes pottery this shop is for you! I use art to tell a story and ceramics to give people a voice, allow them to share, connect, and engage with each other. 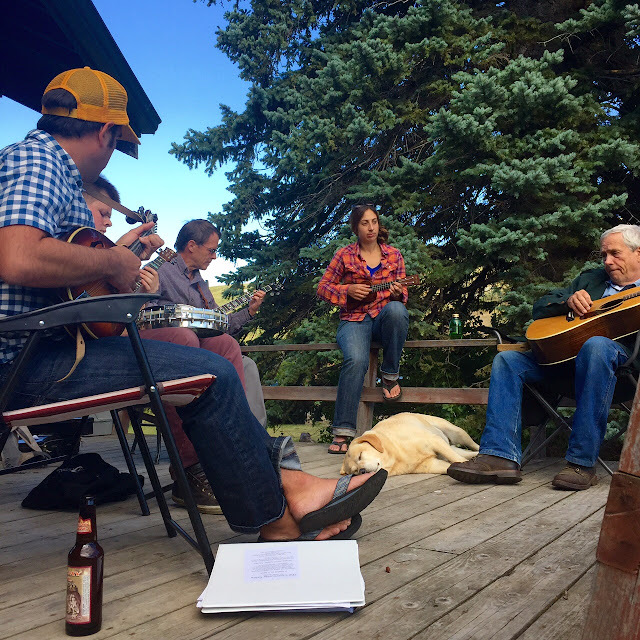 The Community Table took place in Red Lodge, Montana this past July. I was awarded the 2015 MJ Wood DO GOOD Residency at Red Lodge Clay Center. Thanks to Jill Foote-Hutton who conceived of the idea for this social practice residency. I am honored that RLCC selected my proposal for The Community Table and allowed me to come work with their community. The idea came a few summers ago when I started thinking about using the meal as a place to get people together and start conversations. Food is a natural connector and I have found it makes people comfortable. To sit and talk without food or drink will make one uneasy but to share food shifts ones perspective in a multitude of ways. The Community Table first started in Columbus, Ohio when I sheepishly set up a tablecloth and a set of dishes in a city park. After no one even attempted to get near the table I realized I needed to revisit my plans for the project. So I brought the table inside as part of Trefoil an exhibition I had with my great friends Lindsay Scypta and Gunyoung Kim. Still the table did not function at its greatest potential inside a gallery. People we scared to sit at the table and use the dishes without guidance. And yet again the project failed. I tell you this because I must learn from my failure. I am not embarrassed by it or ashamed by it. I look at it as getting me one step closer to achieving the vision I had for the project. If I had given up with the idea The Community Table as I know it now would never have happened. 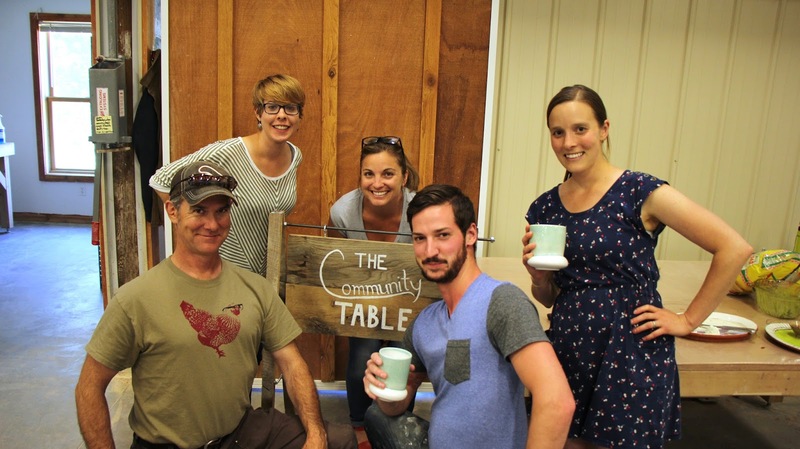 In my proposal to RLCC the idea behind The Community Table was simply a table (really a set of dishes that travels to different tables) where people preferably those who don’t know each other well could come together to share meals. When I arrived in Red Lodge at the beginning of July I spent a few weeks getting to know the community, connecting with business owners, and planning meals that would take place at the end of the month. I balanced this with making a set of ceramic dishes in the studio. The cups and bowls were decorated with a diamond pattern that I found on the side of a building in town. Working with traditional round wheelthrown plates I decorated them sourcing images I collected around town inspired by the landscape, architecture, and businesses that made Red Lodge special. 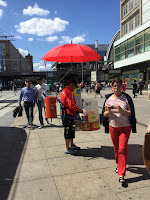 The way I approached this project was to share my general idea with the community to see if they wanted to participate and if so in what capacity. The meals spanned from a large community meal that was already in place to a small meal at someone home. At the end of the project, I had more friends then I had ever imagined I could gain in one month and Red Lodge felt like home not a place I had only visited for a month. I realized that I had intended to come to Red Lodge to bring the community together but in this happening I had joined the community. I learned that you cannot change something from the outside and thankfully the people of Red Lodge let me in: into there homes, their lives, and their hearts! And they taught me a few things along the way. Most importantly they taught me to trust and to receive. I must have been naive to think that I could come to town and do this project and the community would simply say yes and that would be it. In learning to trust, I allowed the community take ownership and decide for themselves what would happen with the project. This was difficult but and important step in doing this type of work focused on community involvement. I view my roll as a maker: as a facilitator, a potter, and now a story teller. Most importantly I learned to receive. This came from working with John and Katye from KMB Communications. We became great friends and they taught me that receiving back from the community was an important element to the success of the project and that allowing the community to invest with me had been the goal from the very beginning. 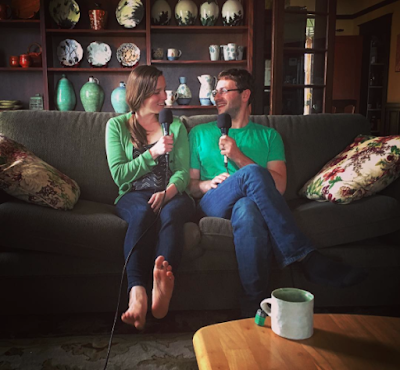 John and Katye offered their advice, equipment, and time they spent hours filming meals, interviews, and capturing the story. Meal 5: Collabration between Honey's Cafe, Hope's Artisan Foods, and Moon Lake Market. Keri from Honey’s hosted the event, Hope prepared the food, and Will from Moon Lake Market donated the food. These three business owners invited a few customers who came in during the week preceding to share the meal together. Meal 9: Martha Young from Cafe Regis hosted a dinner that had been intended for all the restaurateurs in town but expanded to include just about everyone Martha saw that day. Meal 11: Final meal was at Steve Palmer's Ranch with dinner provided by Wholesome Foods Farm. All those meals happened in the course of 8 days. After which Hannah dropped me off at the airport and I was instantly sick most likely from physical exhaustion. This project would not have been half of what it was if not for my project partner Hannah Newman who spent the entire month of July living, eating, and working with me. Thank you Hannah- words could not possibly express how grateful I am for you hard work, dedication, and friendship! Hopefully there is a video coming soon to help tell the story! 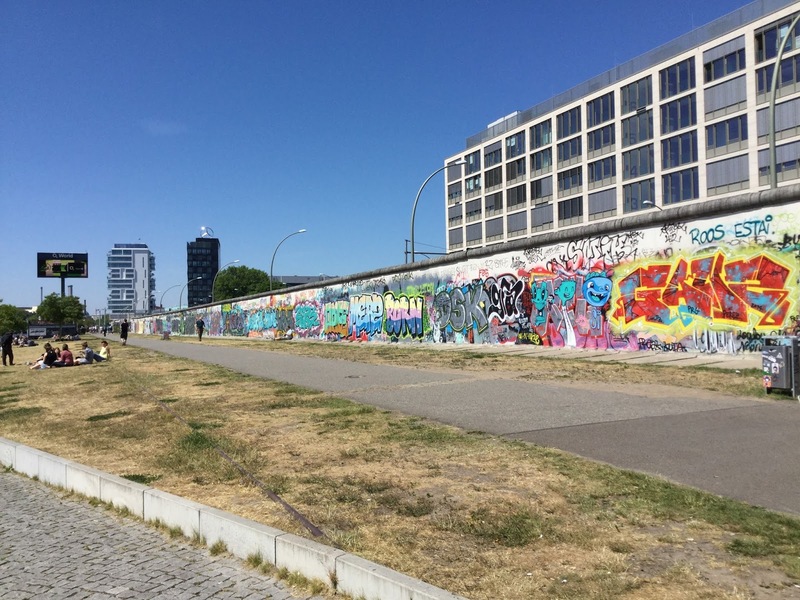 My hope for the future of this project is that it can expand and reach other communities. That not just the Red Lodge story will live on but that stories will continue to be made day after day and that the dishes that were left behind holding the memories will serve as a daily reminder of The Community Table. Music at Steve Palmer's Ranch during the final meal. Everyone contributing to clean up the dishes. Eating good food means washing a lot of dishes. After my residency in Denmark I flew to Berlin to visit The Residency for Ceramics in Berlin to see if it would be a place I would someday like to go. Indeed it was and I also got to see a little of the city. A big thanks to Stephen Kent a friend of a friend who let me stay in his studio for a night. In Berlin I was able to see the Berlin Wall.. WOW. Then I was off to London to visit the Victoria and Albert Museum. The V&A Museum in London left me speechless. Together in Ireland! 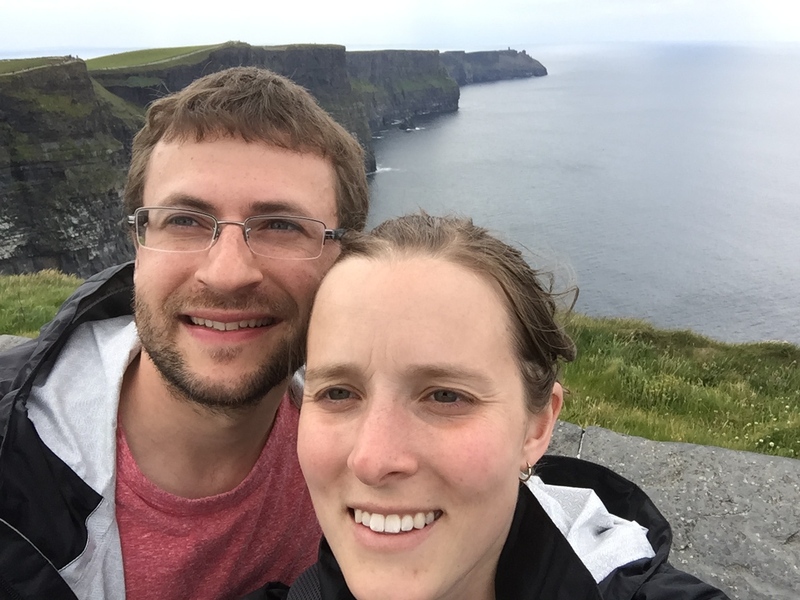 Forrest was leading a Potters Council trip to Ireland and I was able to meet him for a few days and then we celebrated our three year wedding anniversary camping on the ocean just outside Galway. The Cliffs of Moher in County Clare, Ireland. Last year I started a project called Dear Grandma, a collection of recipes from people all over the world. I had first asked my grandmothers for recipes from their childhood and then extended the project out to anyone who wanted to contribute. This project led me to envision Dear Grandma | Denmark, which developed from an interest in my family’s food history. As the granddaughter of Danish and German immigrants I have always been curious about the traditions and foods of my ancestors’. 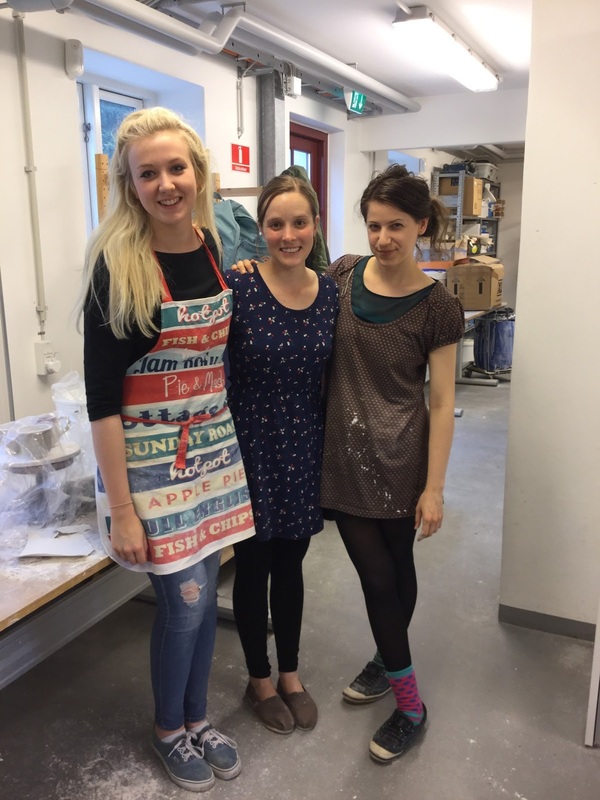 In May, I had the opportunity to be an artist in residence at Guldagergaard - International Ceramic Research Center. 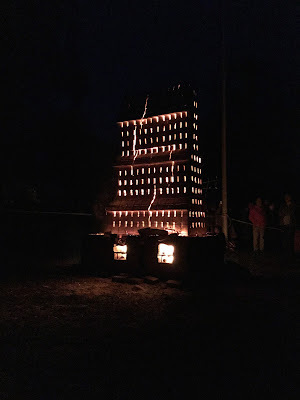 I lived in the small town of Skælskør, Denmark it is located on the west side of the island Zealand not far from Copenhagen. While in Denmark I was able to visit the towns and churches where my ancestors had lived. My G.G. 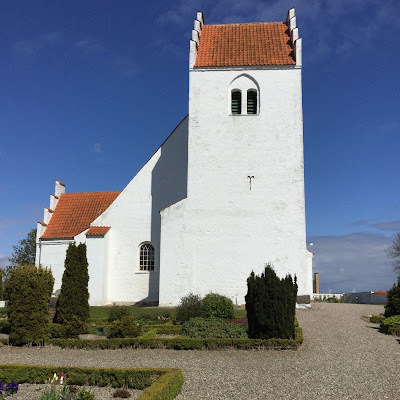 Grandmother Christine Hansen was from Mullerup and attend Drøsselbjerg Kirke (Church) and my G.G. Grandpa Hans Hansen came from Neder Vindinge and attended Kastrup Kirke (Church). Conveniently, both of these towns were within an hour of the town I was staying and I was able to visit. 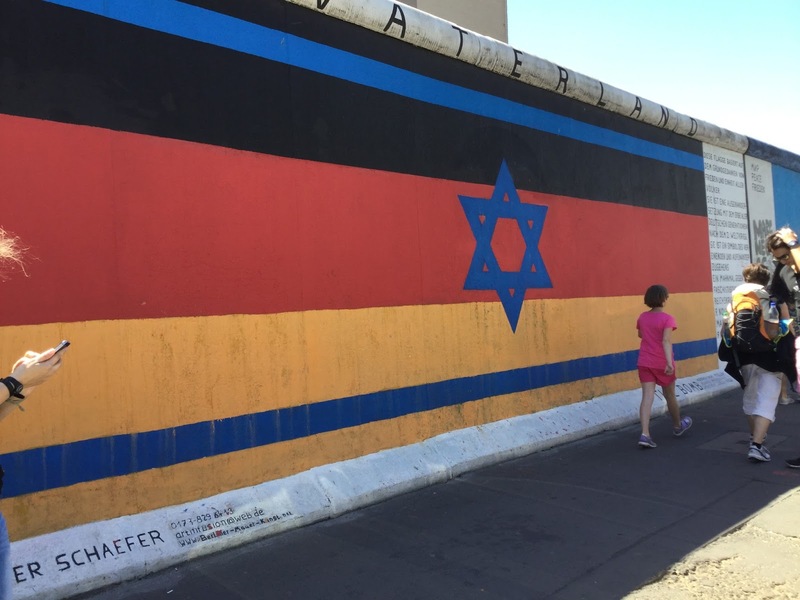 What an amazing experience to walk across the same land that my ancestors did so many years before. My main goal with the residency was to learn about Danish food, culture, and traditions surrounding the meal and I did just that! 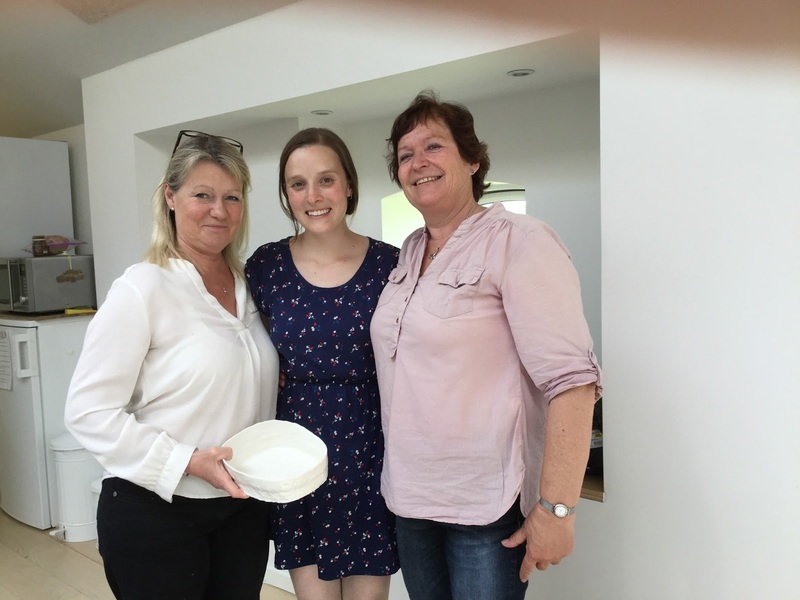 I shared meals, cooked, and collected recipes from many kind Danes. I based my work on these experiences and used recipes to develop a set of serving vessels. These food specific dishes allowed me to bring the recipes into form. Although I was short on time since the residency was only one month, I was able to organize a meal that brought together all the people who had helped me to come and eat with the international community of artist at Guldageraard. After the meal the dishes were give to the people who contributed to the development of the project. My plan for the future life of this project is to revisit some of the vessels that I developed through this project. Thank you to everyone who made this project possible. To those who showed me so much kindness and generosity, I really appreciate you. A few of the dishes and food that I made for the meal. Making Rugbrød a Danish rye bread with Bodil. Traditional Danish smørrebørd, open faced sandwiches. Bodil and I at her home in the Danish country side. 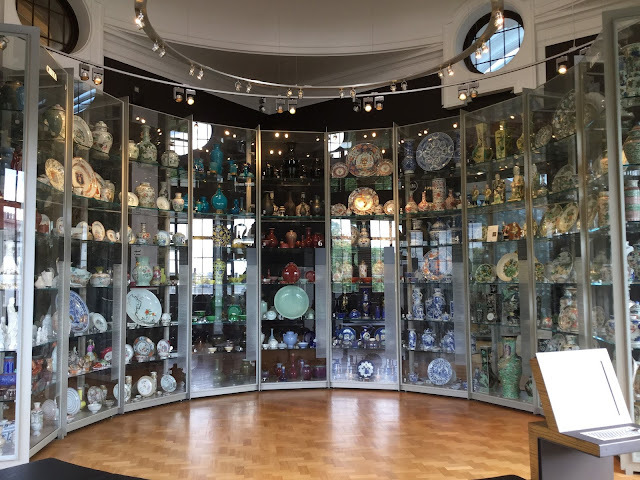 Royal Copenhagen china collection at the Grimmerhus Museum of Ceramic Art in Middelfart. 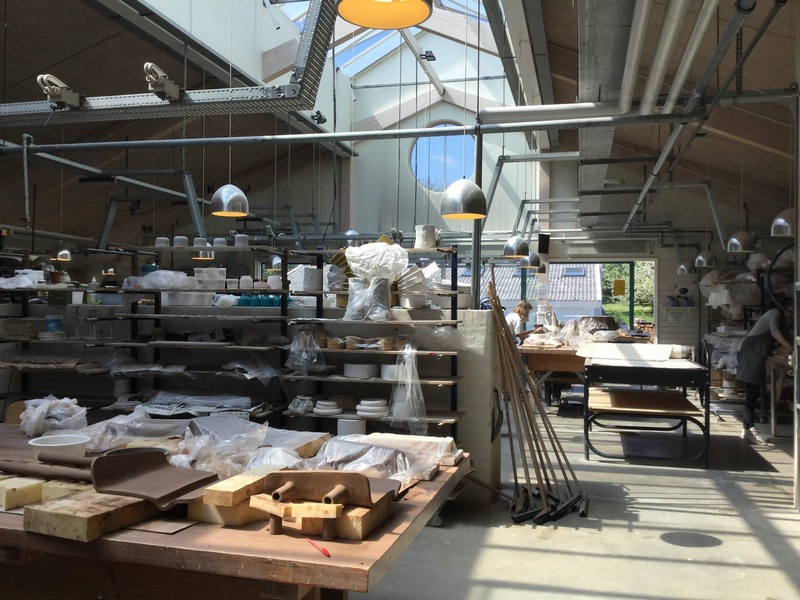 Visit to The Royal Danish Academy of Fine Arts on the Island of Bornholm. Making Frikadeller, Danish pork meatball. A big thank you to these lovely ladies! In April 2015, at ROY G BIV Gallery I had the opportunity to have my first somewhat solo exhibition outside of the university (it was really a 2-person show) but we each had a separate exhibition space. 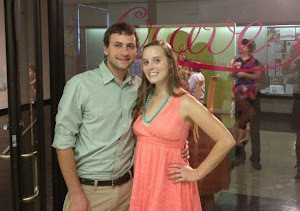 The whole weekend was fun and refreshing coming off of my MFA thesis show. My mom, sister Raquel, my little niece Reagan, and my good friend Kella all showed up to help make this show possible! I exhibited two pieces MILK/MILK was a one night event performed by my mother. She passed out two different whole milk samples one from an organic farm near Columbus and the other was the stock brand from Kroger. My mother grew up on a dairy farm and still drinks warm milk each night similarly to the fresh warm milk she would have drank directly from the cow. This always fascinated me so I worked together with my mom to create this piece. The primary piece was The Relational Table. The Relational Table is a project in shared eating that transforms the gallery into a place of gathering for an intimate meal to take place each day. Spanning 22 days, the course of the exhibition, it brings together residents of Columbus, Ohio. The project exists dually both in the gallery and the community. The table is the central meeting point in a chain reaction that began on the evening of Friday, April 3, 2015 with an inaugural meal between a guest and myself. Each day a meal is shared with an invited guest of the guest from the preceding meal. Each person will share a total of two meals one as a guest and one as a host. A record of individuals who eat at the table will be documented through photographs on the wall of the gallery as the exhibition progresses. Through the exchange of food the gallery functions as the site of shared meals. A journal acts as a recording between each participant passed along from one person to another. The journal is a written collection of stories that accumulate each day. It is absent from the exhibition space as it is shared only between those participating in the project. The Relational Table uses ceramic dishes to bring awareness to the connection that take place at the table, within the community, and in the city in which we all reside.